Business/Commercial Litigation – Burg Simpson’s commercial litigation attorneys handle a broad range of corporate legal matters. 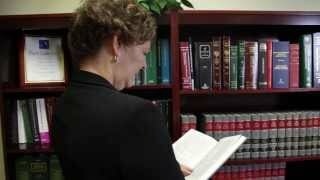 We’ve handled cases such as contract disputes, whistleblower and qui tam actions, unfair competition claims, and cases involving securities fraud. Whether you are a small business owner, large corporation, or individual shareholder, Burg Simpson can help you with your business and commercial needs. Consumer Litigation/Class Action – Burg Simpson’s consumer litigation attorneys represent individuals who have been harmed by unfair sales practices and data breaches. When numerous consumers have been harmed, Burg Simpson will help those harmed band together to file a class action to hold businesses accountable for their actions. If you have been harmed by a business’s unfair sales practices or a data breach, Burg Simpson’s experienced class action attorneys can help. Dangerous Drugs & Medical Devices – Our mass tort lawyers fight for consumers who’ve suffered serious side effects from dangerous prescription drugs, or who’ve been hurt by defective medical devices. Our national team of trial lawyers, paralegals, and nurses have the resources and extensive experience necessary to successfully represent victims of dangerous drugs & medical devices no matter where they live in the country. Employment Law – Burg Simpson’s employment law attorneys fight for workers who have been discriminated against, wrongfully terminated, and unfairly compensated. Similarly, Burg Simpson’s employment lawyers review employment contracts, non-compete agreements, and severance packages to help employees understand their rights and negotiate a fair deal. 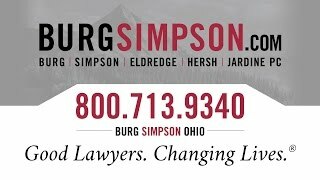 If you are concerned about your legal rights at work, call Burg Simpson today. Personal Injury – Our personal injury litigators in Cincinnati, Ohio help injured individuals – and their families – put their lives back together after a serious injury or wrongful death. Whether it involves a car or trucking accident, a daycare injury, or even a wrongful death, we’ll help secure the compensation you deserve. Products Liability – Burg Simpson’s products liability attorneys have decades of experience holding businesses accountable for placing defective or dangerous products into the hands of consumers. Whether you have been hurt due to a manufacturing defect, a design flaw, or an inadequate warning as to a product’s risks, Burg Simpson will fight for you against even the biggest companies in the world.